Waterproof & Portable: With the small IP67 waterproof battery box(2*2.7inches), you can easily carry and place the led moon lights(NON PLUG-IN) anywhere you like(batteries not included). 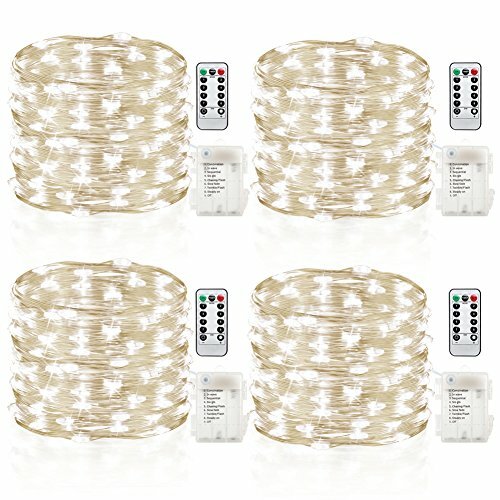 Wide Application for Indoor /Outdoor: These fairy lights are waterproof and perfect for spicing-up your decor or setting the mood for Christmas,Thanks Giving Day,Halloween Parties. Great for use in a restaurant or small business. Guaranteed with CE certification: If you are not satisfied with the product, please don't hesitate to contact us in any time, we'll try our best to solve your issue.